Mixing a hint of quirky personality and a dash of retro inspiration and sweet essence of nostalgia into a base of quality beauty products you can trust. 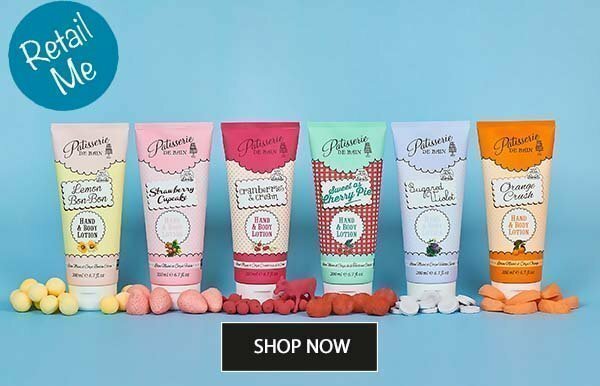 Having won highly commended for Best Packaging of the Year at the Beauty Magazine Awards for three consecutive years, Patisserie de Bain is certainly adding a splash of colour, fun and quirky personality to the beauty world. The beautiful packaging, with a hint of retro design certainly turns heads and stands out on the shelf. 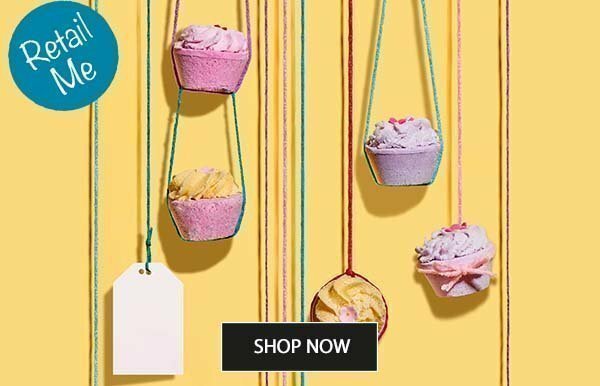 From the original, handmade Bath Fancies and Tartlettes that make perfect gifts or treats. To the range of everyday beauty products including Hand Creams, Shower Crèmes and Body Lotions. 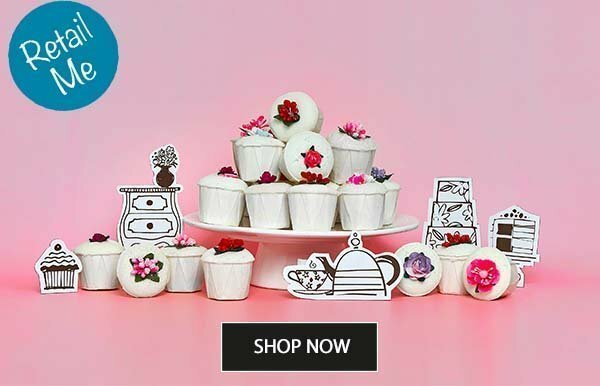 Discover Patisserie de Bain Bath Fancies. The Bath Fancies slowly soften and sparkle in the bath, releasing shea and cocoa butters to moisturise and delicately scent the skin. Each fancy is hand made in the UK and finished with a pretty little flower. The base fizzes with fragrance, leaving the top to gently moisturise with cocoa and shea butters. Patisserie de Bain Hand Creams are nourishing and gentle, rich in shea butter and glycerine to leave hands soft, smooth and smelling sweet. 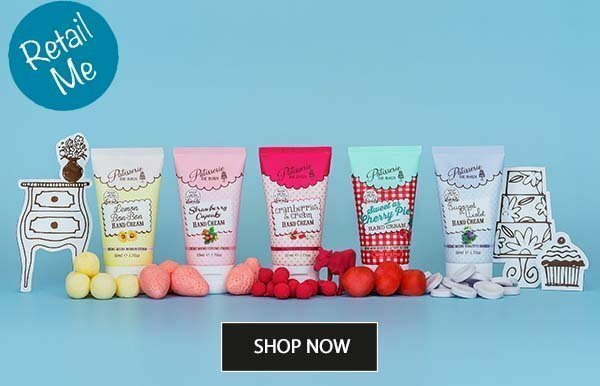 Packaged in handy tubes or traditional glass jars they make a perfect handbag essential or special gift. Packed with essential oils, our Body Washes smells delicious. Great for cleansing, our body washes can also change your mood, ease stress, relieve tiredness and lift your spirit so that you can get on and enjoy your day. 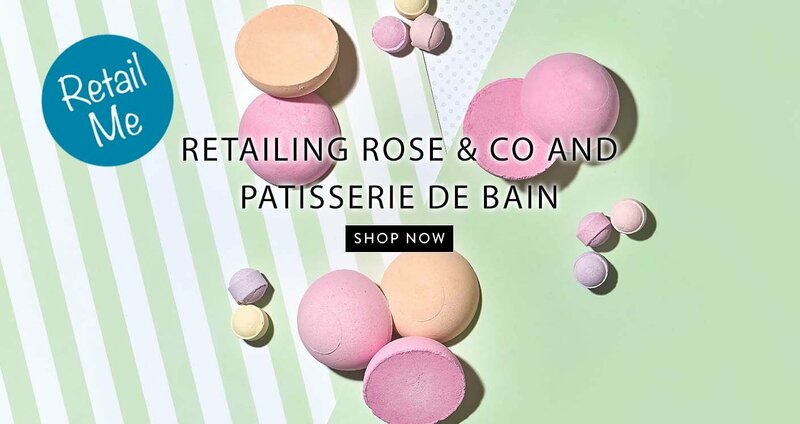 Discover your bath time pick ups from Rose & Co and Patisserie de Bain. 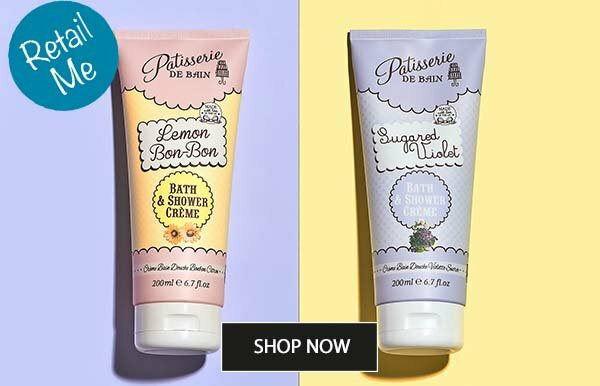 Patisserie de Bain Body Lotions bring a burst of sweet Patisserie de Bain sunshine to nourish skin. They are rich in shea butter to help hydrate and is easily absorbed with a sweet, light scent that is perfect to use anywhere on the body.